There are many reasons for drying roses. Some people want to keep a memento of a special moment. Perhaps they are from a wedding that you went to, or maybe they were a gift from a friend or family member. Whatever your reasons, following are methods for drying your roses properly. 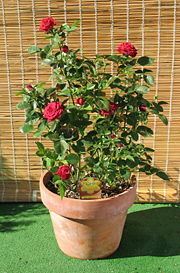 There are two alternatives for drying roses: (1) air drying and (2) sand drying. * Start with perfect and unflawed roses on their stems. If the roses are not in perfect condition, they will wither and the petals will fall off. * Remove any leaves that may be on the branches. * Bunch them up together in a manner that lets them fan out. * Tie the bottom with string or a rubber band. * Hang them upside down in a dark, dry place for two to three weeks to be certain they are completely dry. 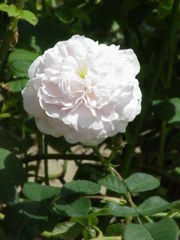 * Start by picking roses that are in perfect condition. They shouldn’t have any dew on them and the stems should be dry as well. * Reinforce the stems and blossoms with either white glue or florist wire. For florist wire, you will want to cut off most of the stem (leave about one inch of stem). * Push about 3 inches of wire through the stem and right through the flower head. * Next, you want to bend the end of the wire into a hook over each rose head and pull it down. This helps to keep the head secured to the stem. * When choosing to use the glue, begin by diluting the glue in a dab of water. * You will take a toothpick and dab a thin coat of the glue mixture at the base of each petal. * Work the glue into the base of the stems of each flower so that you can attach each petal to the base, wait till the glue dries completely. * Now for the sand, slowly and carefully cover the flowers with sand in deep open boxes. * Make the sand in the box deep enough to hold the flowers upright. * Sit each flower in the sand filled box and slowly pour sand around the base, around the sides, and over and under the petals. You should pour the sand evenly so that you can preserve the flowers natural shape. * Wait for the flowers to dry while facing upright. * Put the boxes with the roses in a dry space that is warm and brightly lit. This will ensure that your roses will maintain their bright color. * Let them dry for one to three weeks. * Allow them to dry in a more humid area to achieve more muted colors. * Remove the sand by tipping the drying container slightly so that the sand can fall off the flowers. * Remove each flower one by one. Now you have successfully learned how to dry your roses. These dried flowers will make great decorations for any room in your house or office, or whatever else you’d like to do with them.